CRM or customer relationship management is the practice of analysing and managing customer relationships and interactions. The objective is to build business relationships by improving customer retention and simultaneously drive sales growth. A good CRM system will connect companies to their customers better, but also help that company reach potential customers and therefore improve profitability. 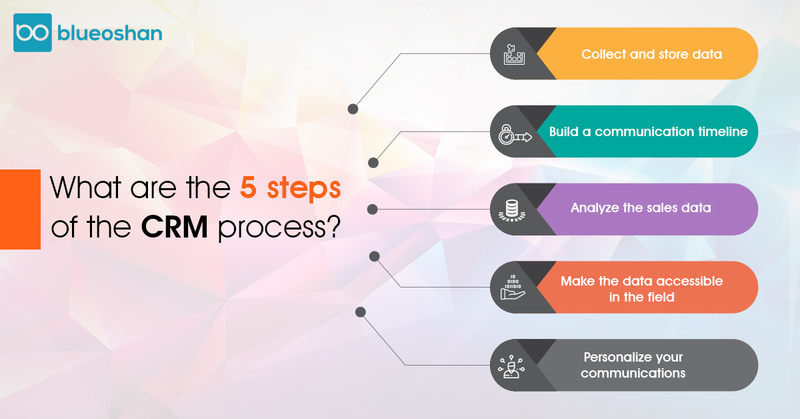 What are the five steps of the CRM process? How can CRM help a business? 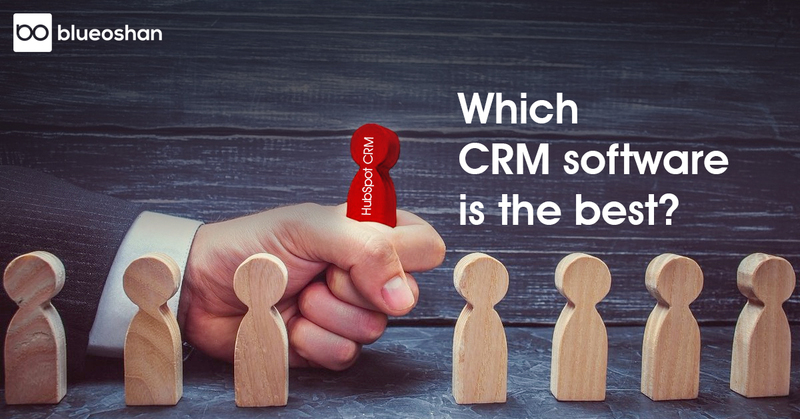 Which CRM software is the best? In the mid-1980s, ACT! was released, a digital type of Rolodex and offered contact management service. 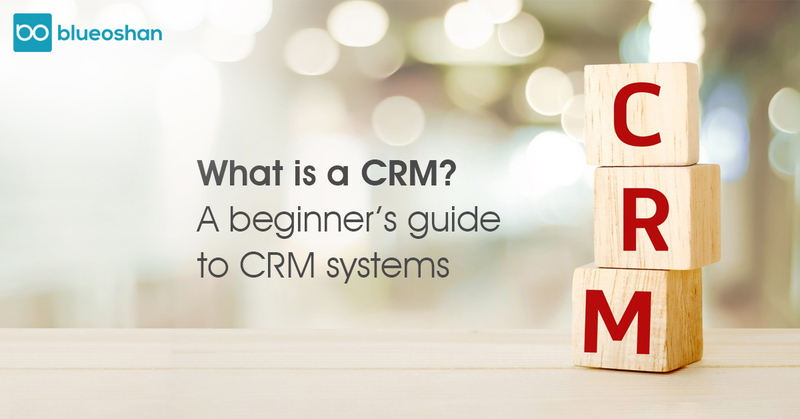 The first official CRM product was released by Siebel Systems in 1993. In the early 2000s, CRM software could be downloaded on to mobile devices and migrated to the clouds, which made it cheaper and more accessible. The latest innovation is AI for CRM, which automate routine tasks, plan road-maps for leads and deals, and have virtual assistant functionalities. Strategic CRM is primarily focused on customers. It is used to collect, store and analyse customer data with the view of using the information to collect and retain customers. Market trends and buying behaviour of the customers are also gathered together so that the business using this particular type of CRM can better learn how to sell to its customer. Strategic CRM is great for e-commerce type of businesses. Operational CRM automates business processes such as sales, marketing, and customer service. With the sales force automation component, sales processes such as storing client information, tracking client history, and setting reminders among other processes are automated. It’s great for lead management i.e., converting leads to clients and managing client accounts. With regards to marketing, this type of CRM automates repetitive tasks like sending emails, engaging with customers on social media etc. And finally, in the area of service automation, an operational CRM makes sure customers are able to get the support required quickly via various channels of communication. Operational CRM is perfect for large corporations. Analytical CRM mines data regarding customer behaviour and market trends and outputs analytics that are crucial to business decision making. Traditionally analytical CRMs give insights into weak points of businesses, allowing you to take corrective steps. At the end of a day, an analytical CRM will give you all the insights needed to sell better and provide better customer service. Analytical CRM work well for SMEs and startups. Collaborative CRM is a very unique type of CRM because it brings external resources and stakeholders together to share information between them to bolster better product services. Suppliers, distributors, other businesses can easily share customer information and feedback amongst themselves via channels provided and this enables them to make better decisions when it comes to product manufacturing or even marketing. This type of CRM system finds application in B2B situations. When picking a type of CRM for your business take into consideration your business or industry, budget and what features of a CRM apply to your business requirements. Let us find the right CRM to meet your requirements and help you implement it. Managing customer information - CRM software will store, manage and categorise all customer information. There will be an option to import and share contact information, and fields will be available where the history of interaction with a particular client or their preferences can be stored (this can help you send them personalised messages and speed up sales). All your activities with regards to a customer or lead can be updated and tracked, so you don’t miss out on a meeting and you can even set up email triggers so that after a meeting or call the lead gets a personalised email, which will make them feel special and could help with making the sale. Data analytics - Data-mining and data analysis tools are packaged with most CRM software. These tools will churn out reports and charts based on parameters you set, so you can get visual representations and have the numbers crunched on everything from inventory to customer behaviour. You will get deeper insights into buying trends, patterns, and where there are bottlenecks when it comes to sales or customer service. This data is priceless and can help you sell more, come up with marketing ideas and keep your customers happy. Workflow automation - Plenty of tedious processes and workflows, which are a part of every organisation can be automated by CRM software. So instead of losing time on repetitive and tedious jobs, employees can concentrate on valuable things like interacting with customers, selling more and marketing campaigns. Project Management can also be streamlined and made more efficient thanks to CRM. Roles can be assigned, information can be shared easily and updated, progress can be tracked, and deadlines met with ease. Third-party integration - Most CRM vendors provide you with plenty of options when it comes to connecting with other business apps they have created as well as third-party apps. Using integrations, the software can track customer interactions on social media or even see how a particular marketing campaign is doing. In fact, a lot of businesses pick CRMs based on the third-party integration feature because of how useful it can be. Every customer needs to be logged into your CRM. Once you know your customer profile i.e. their occupation, their choice of product, geographic data, demographic data, what competitor products they are eyeing etc. ; you will be in a better position to make marketing and sales decisions. Communication is key in the CRM line. Figuring out the frequency of sending emails to your customers is a good place to start. Dozens of templates are available for CRM emails that can be directly plugged into the mailing system. Maintaining a communication timeline with successful customers could give you a pattern for future leads. Using a CRM effectively is about spotting patterns in the data. The most profitable and top spending customers are probably coming back for more because you did something right in the first place. Explore and understand these individuals and see if the process can be replicated. Maybe a certain marketing campaign has always yielded great results with a low cost per acquisition. Fine tune successful processes to yield higher profits. Your engineering teams, salespeople and marketing teams need to have access to all the data. Whether it is the status of orders, payments due, customer issues - share the data because you never know which team will troubleshoot or provide an efficient solution. This is where a CRM truly shines because personalization has taken the customer support industry by storm. By now, you know how a customer interacts based on their communication timeline, their buyer personas as well as their social media interactions. Exploit this advantage to create a trusting relationship with your customer. When a customer understands that a brand gets where they’re coming from, they’re more likely to come back for more. And if you manage to convert a customer to a fan, they might even drive their friends and families to your business. Having trouble implementing a CRM for your requirements? Retain customers - Since a CRM collects and saves all information with regards to clients, all that valuable information can be used in a number of ways towards retaining customers. Personalised emails and newsletters can be sent out automatically, targeted marketing campaigns can be applied based on data collected about your audience via CRM, feedback from clients that is collected can be utilised to increase customer satisfaction and boost sales, and you can learn what the buying trends are and sell accordingly thereby making sure your clients are always getting what they want. You can use CRM to schedule meetings and follow-up calls with customer and set reminders. This way nothing falls through the cracks and your customer is always prioritized. Increase sales - Your sales team will be able to use all the customer data they have to strengthen their sales pitch and increase the chances of making the sale. CRM systems allow you to set up processes for your sales team to follow and monitor them to make sure they are following through. Up-selling and Cross-selling opportunities are highlighted by the CRM software, so you can take advantage of that to make an additional sale. You can also keep track of contacts and see what they are up to on social media via CRM integrations and assign the best resources towards making the sale. Finally, as most CRM software can be downloaded on to mobile devices, you never miss an opportunity and can make sales while on the move. Increase ROI and revenue - In most industries, it is cheaper and less work to keep a current customer than to acquire a new customer. CRM systems help you retain your customers and keep them happy, which in itself saved your company money and time. A CRM system will crunch the data and produce charts and reports which allow you to see where attention is needed within the organisation, by spotting these issues early on you can fix them before it starts to affect your business. CRM systems shed light on industry trends and buying trends, so you don’t waste effort and money on marketing campaigns that have no buyers. Since CRM automates many tasks like data entry and sending emails, it saves time for your sales staff. HubSpot CRM - You might be familiar with HubSpot, a well-known inbound marketing and sales platform. The company offers a host of software for everything from social media marketing to content management. It also has a free CRM software. While the CRM software is free, and you can add unlimited users and 1,000,000 contacts when you connect it to HubSpot’s marketing and sales tools and software you will be charged a certain amount. But this increases the CRM’s functionalities and capabilities many-folds and what you can then achieve in terms of sales makes the investment worth it. HubSpot CRM integrates with your email, whether it is Gmail or Outlook, so all your interactions with customers are saved. It also tracks your customer's movements on social media, i.e. Facebook, Twitter etc., with regards to your products. So, you can gather more valuable information, which helps towards making a sale or even quickly offer customer support if they have an issue with a product or a query. The reason we think HubSpot CRM is the best because not only is it free, but it is very intuitive and easy to learn. It can be used as a stand-alone free product, which makes it a good fit for start-ups and small businesses that don’t have a budget for CRM. It also can be used across industries. When used along with the marketing, sales and service tools that HubSpot is known for you will have all your bases covered. Speak to our HubSpot Certified experts on all things CRM!